On Memorial Day, Monday May 28, 2012, Jean-Marie was a distinguished guest at the 54th Annual Memorial Day Observance at the Sonoma Veterans Memorial Park in Sonoma. 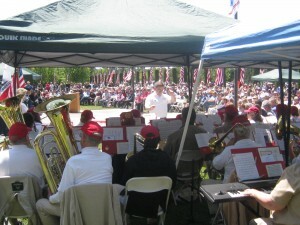 Patriotic music was provided by the Sonoma Hometown Band. 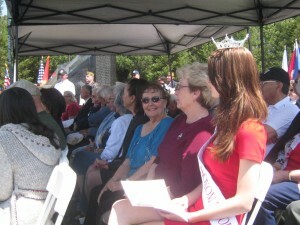 Jean-Marie in the guest of honor seating at the ceremony. 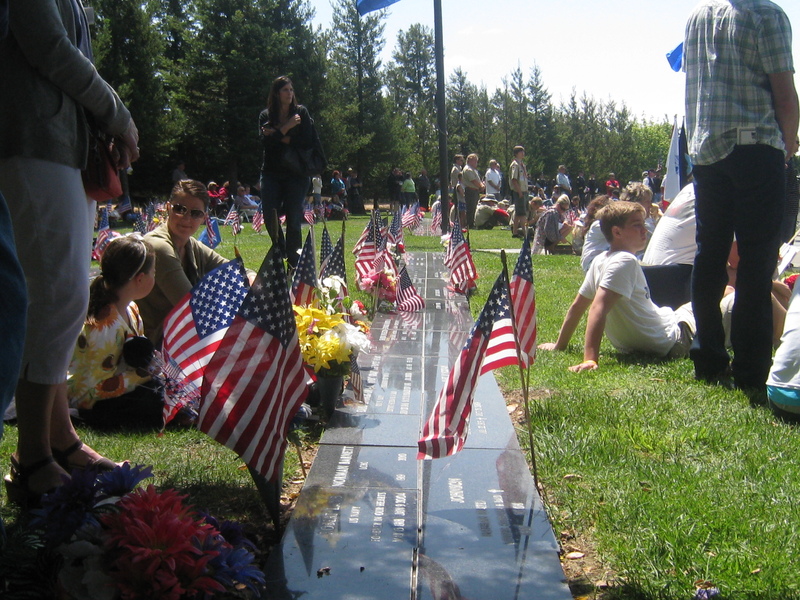 Jean-Marie represented the MIAs and POWs of wars past and present. 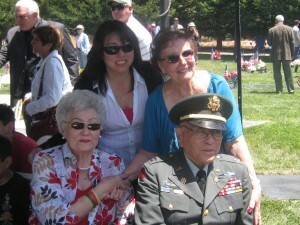 Jean-Marie with Frank Masuoka and his family. Frank, a Japanese American, was in the U.S. Army Infantry during WWII and was awarded the Silver Star for his gallantry in action on Okinawa in August of 1945.